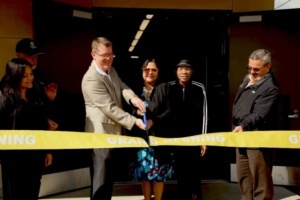 On February 22, Liberty Utilities (Park Water) Corp. (Liberty Utilities) hosted a ribbon-cutting ceremony with tours to commemorate the completion of its new well in Compton. District 1 Councilmember Janna Zurita joined residents at the celebration, which showcased the benefits of the well in enhancing water service for Compton area customers. Locally controlled groundwater is a preferred water source given recent weather conditions and regulations that have made importing water unreliable and increasingly expensive. The new well is expected to reduce the dependency on purchased water and increase supply reliability by producing up to 2,500 gallons of water per minute. In addition to the well, Liberty Utilities also improved the curb appeal of the Compton station by installing new landscaping with low-water-use plants and gravel to eliminate weeds. 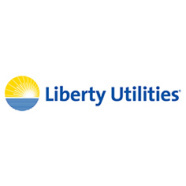 “We are excited to start the New Year with the completion of this project, which echoes our commitment to upgrading our infrastructure to ensure the continued delivery of safe and reliable drinking water to our customers,” said Frank Heldman, Director of Operations for Liberty Utilities, in a press release. Liberty Utilities’ Water Conservation Booth at the ribbon-cutting ceremony.